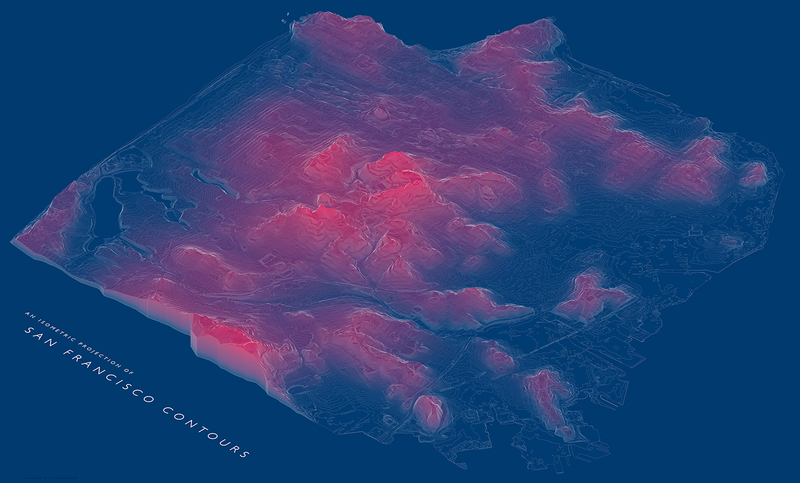 A topographic map of San Francisco from a new angle. See the hills of San Francisco with fresh eyes, uncluttered by roads, buildings, and other landmarks. This detailed poster was printed using offset lithography with five ink colors on heavy-duty 100lb matte-coated paper. Check it out on page 48 of the December 2014 issue of Print magazine!